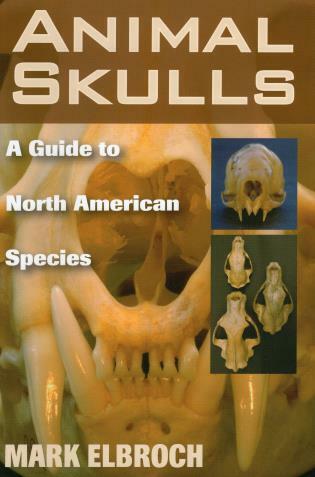 This uniquely thorough reference and guidebook offers illustrations, descriptions, and measurements for the skulls of some 275 animal species found throughout North America. The skull--the collection of bones that house and protect a creature's brain and sensory organs--is the key anatomical feature used to identify an animal and understand many of its behaviors. This book describes in words and pictures the bones and regions of the skull important to identification, including illustrations of all the bones in the cranium, leading to a greater understanding of a creature's place in the natural world. Life-size drawings and detailed measurements make this guide an invaluable reference for wildlife professionals, trackers, and animal-lovers alike. NOBA award-winning author Mark Elbroch has contributed to numerous research projects in North America, including the capturing and collaring of cougars and Glacier National Park's bear sign survey. He lives in Vermont.